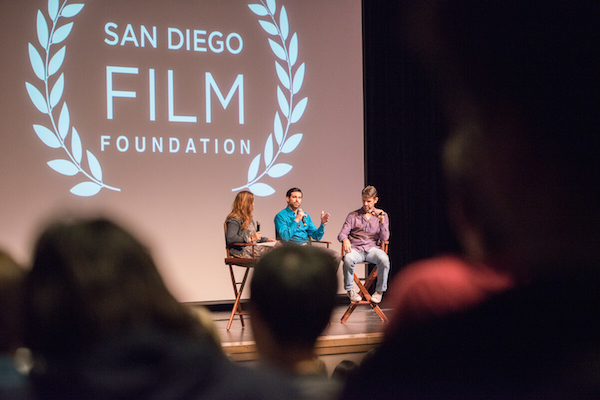 When the San Diego Film Foundation (SDFF) partnered recently with actress/producer/documentarian Susan Sarandon and directors Thomas Morgan and Jack Henry Robbins to bring the award-winning documentary “Storied Streets” to San Diego high school students, the collaboration brought an immediate response and level of engagement that surpassed expectations. 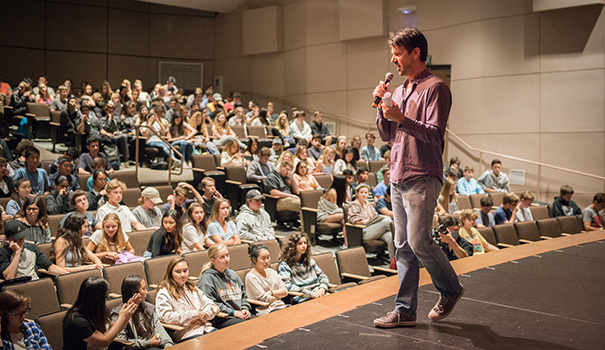 SDFF is a philanthropic organization that creates and promotes educational programs around social impact areas and this year launched the Focus On Impact Film Tour, which drew attention to homelessness across the country. Sarandon, executive producer of “Storied Streets,” has worked with Morgan on several documentaries. Their hope is to educate and transform the way people think about social justice issues, Morgan said in an interview. This idea of using film as a “call to action” for the young people of San Diego is one of SDFF’s driving forces and the energy of the recent screening spilled over to the filmmakers. “They were seeking solutions and seeking ways to be involved and I thought that was a great sign,” he said. That tour took Morgan and Tonya Mantooth, executive and artistic director of the SDFF, to five high schools in the San Diego area, including Urban Discovery Academy in East Village, Canyon Crest Academy, Francis Parker and King-Chavez Community High School. The presentations at each school began with the 61-minute documentary, which begins its exploration of homeless-related issues in Los Angeles and ends on the streets of New York. 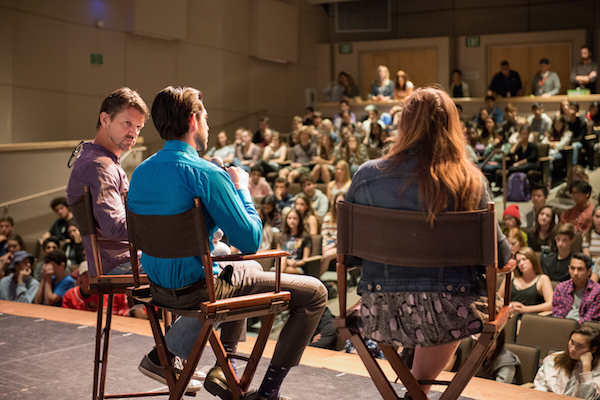 The film was followed by a Q&A with Morgan and a panel that included Sarah Hernholm, founder and president of Whatever It Takes, a youth empowerment group; and Guiseppe Pizano, a teenager featured in the film. Morgan said that he was “floored” when two students approached him after the screening and told him they were homeless. The statistics on homeless teens are sobering. According to the National Alliance to End Homelessness, there are as many as 2.8 million homeless youth in the U.S. and 34 percent of the homeless population is under the age of 24. The average age teen who becomes homeless is 14.7 years old and 75 percent drop out of school. In the film, Pizano tells how he was determined to finish high school and go on to college, which he did, and how he survived when his mother left him at the age of 14. He attended high school every day, becoming dependent on friends for a bed or a couch, but eventually had to sleep on the streets, living in the bleachers at his high school. SDFF plans on making the Focus on Impact Film Tours a yearly event and is setting up a system for other schools to access “Storied Streets” and screen it for their students. “The film tour was a result of the discussions that Susan [Sarandon], Thomas [Morgan] and I have been having for almost two years now,” Mantooth said. “The goal was to take films about important social issues that are screened at the festival and bring them to schools. Morgan will be on the Social Impact Documentary Panel at San Diego’s International Film Festival, SDFF’s signature annual event, which takes place Oct. 4–8 in Downtown. There are several VIP events being finalized and the lineup includes the Opening Night Film and Party at Balboa Theatre, the Friday Night “Party with a Purpose” at the Horton Plaza HUB and screenings at Regal Cinemas. For more information on the foundation and film festival, go to sdfilmfest.com. —Terri Stanley is the creator, producer and host of the Emmy award-winning Boston lifestyle show, “styleboston” and former executive editor of Boston Common magazine. Since moving to the San Diego area, she freelances as a lifestyle writer and short film producer and is on the board of directors at SDFF. Reach her at terris@styleboston.tv.